- kit parts interchangeable with original items! This is a model kit and requires deburring/fitting/finishing. - wash parts in warm soapy water and force air dry. - do not over tighten threads. - dry fit all parts before committing to the final build. - do not over tighten clamp screws, light pressure only. - wet sand 3D printed straps with fine sand paper before painting. - screw threaded post body in until it touches the scope tube. 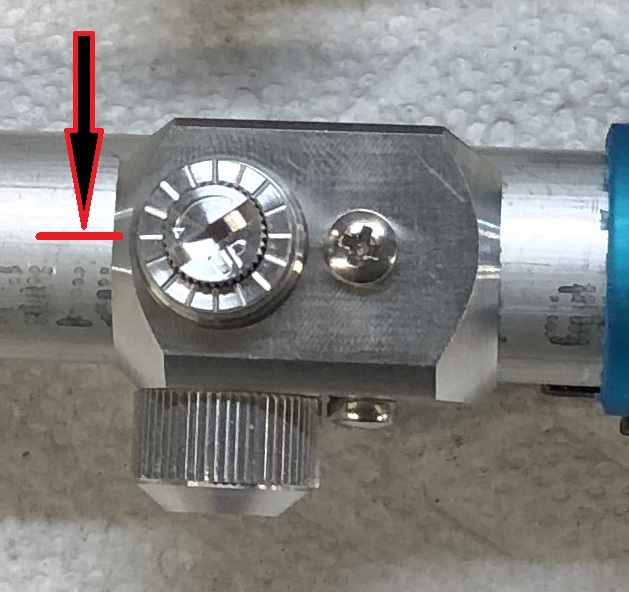 - unscrew slightly until one of the engraved lines is on center of the scope tube.